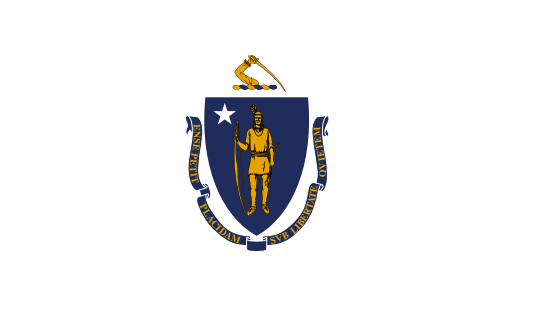 Massachusetts in often referred to as the “Bay State,” and it’s played an important role in the developing history of the United States. Tourists routinely flock there to see locations such as Plymouth, Salem, and the battle sites of Lexington and Concord. While there are plenty of activities for locals and tourists to choose from, legal sports betting isn’t one of them. That’s because it’s illegal in the state due to the 1992 passage of the Professional and Amateur Sports Protection Act. Once this law was set into place, only Nevada could offer unlimited forms of sports betting to the public. For those who are willing to break the law, Massachusetts has a lot of teams worth betting on. Before you consider doing this, though, I suggest sitting down with a lawyer and examining your options. If you want to place a bet directly with another person, you’ll need to break the law. Traditional sports betting is outlawed in the state, although anyone who bothers to look around should be able to find illegal bookies at a variety of bars and golf clubs. The other main option is online sports betting at a US-friendly sportsbook website. No state laws explicitly prohibit this. The biggest impediment is the Unlawful Internet Gambling Enforcement Act, a federal law that prohibits financial transactions for the sake of online wagers. While this law was intended to target Internet sportsbooks and casinos instead of private citizens, it has also resulted in many of these businesses refusing to accept customers from the United States. As long as you can find one willing to accept your money, however, you should be able to make your wagers without any sort of legal difficulties. Massachusetts is 14th in overall population within the United States, although it has more major league teams than some of the states that rank above it. One team from each of the country’s major sports is represented – the NFL, MLB, NBA, NHL, and MLS. When you factor in other professional and semi-pro organizations, it soon becomes clear that the “Codfish State” is a paradise for sports bettors. If you’re looking to wager on minor league teams, please keep in mind that most bookies (online or otherwise) aren’t going to offer odds on these games. This is largely due to the fact that there are only so many hours in a day, and professional handicappers spend the bulk of their time studying major sporting events. While betting on college sports may not be quite as popular as major league wagering, it’s a close second. International and local bookies commonly offer odds on NCAA Division I athletic competitions, especially if they involve NCAA football or NCAA basketball. In this section, we’ll look at the Massachusetts universities that play at the highest collegiate level, as well as some of their greatest sports accomplishments. • Boston College – The Eagles compete in the Atlantic Coast conference in 11 men’s, 14 women’s, and two co-ed events. Their programs have seven national titles in events such as football and women’s sailing, although none of these are recognized by the NCAA. Their only NCAA national titles have come in men’s ice hockey, and these five championships have come in 1949, 2001, 2008, 2010, and 2012. • Boston University – The Terriers are involved in nine men’s and 12 women’s varsity sports, and they currently compete in the Patriot League. Squads of both genders have captured conference titles in events ranging from tennis and basketball to softball and cross country. Their most successful program is men’s ice hockey, with the team making over 20 appearances in the Frozen Four and winning national titles in 1971, 1972, 1978, 1995, and 2009. • Harvard University – While the Harvard Crimson doesn’t offer athletic scholarships, they feature a record 42 varsity sports for students of both genders. The Ivy League university has also enjoyed a great deal of success over the years, winning national titles in the following events: fencing, women’s rowing, men’s individual wrestling, coed sailing, women’s sailing, men’s soccer, men’s ice hockey, golf, women’s lacrosse, and men’s football. • College of the Holy Cross – Founded in 1843, this private university currently competes in the Patriot League. They sponsor 25 varsity programs, and all teams carry the name of the Holy Cross Crusaders. While many of the most notable victories came decades ago, the school can still boast national titles in men’s basketball and baseball. • University of Massachusetts Amherst – This largest public university in New England has been around since 1863, and they’ve been fielding sports teams for much of that time. Their men’s teams are known as the Minutemen, while the women’s teams are called the Minutewomen. The men’s basketball team reached the NCAA Tournament from 1992 to 1998, while the women’s program made it in 1996 and 1998. Their football team also has one national title, although this was won at the smaller I-AA level. • Northeastern University – Since 2005, 14 of the 18 varsity teams for this school have been competing in the Colonial Athletic Association of Division I. Their team name is the Huskies, although they’ve failed to win any national titles in team events. Their lone national championship came in the individual sport of hammer throwing in 1975. As with most American states, anyone who wants to wager on sports in Massachusetts should be prepared to skirt the laws of the land. This is especially true of any sort of face-to-face wagering, as the law expressly forbids such activity. Online gambling offers an acceptable compromise, although one should always take care to ensure that their chosen virtual bookmaker is doing right by its customers.